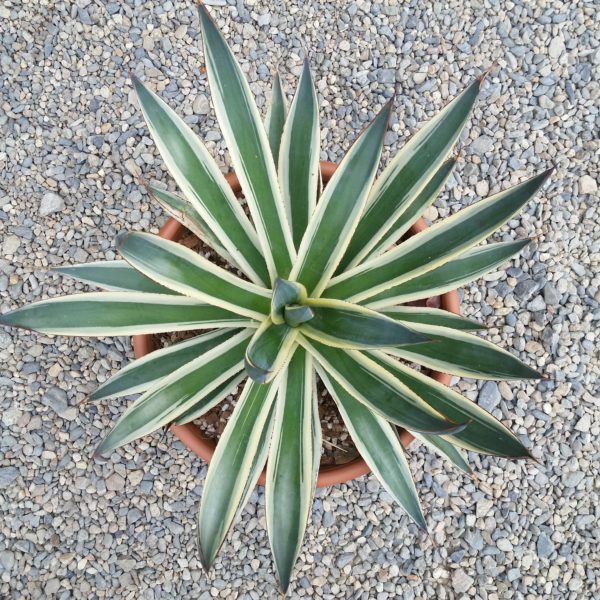 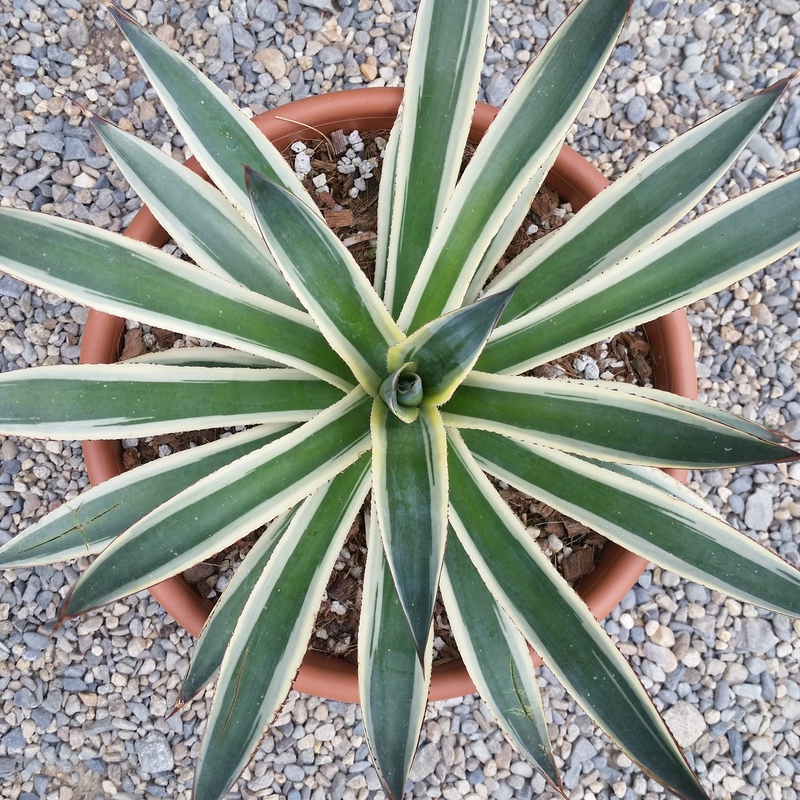 Variegated Blue Glow Agave is as rare and collectible as it is beautiful. 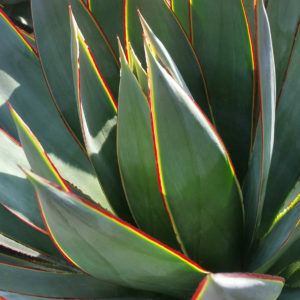 The blue gray leaves have white margins and red edges that glow when backlit by the sun. 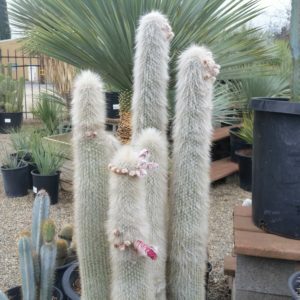 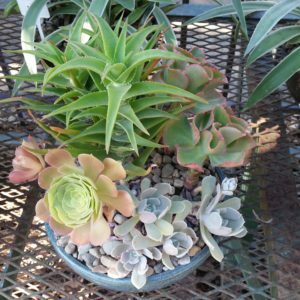 Ideal as a container specimen, is adaptable to full sun but should be acclimated slowly to prevent sunburn. 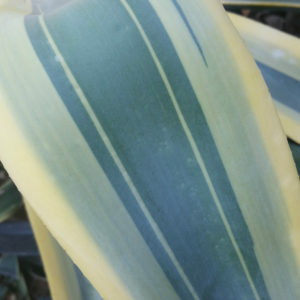 It will also perform well with morning sun and afternoon partial shade. Tolerant of frost, it should be planted in fast draining soil and should not be allowed to sit in waterlogged conditions. 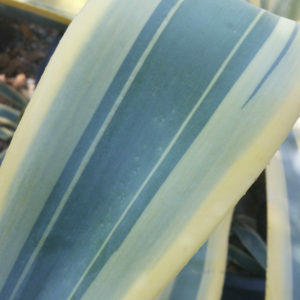 Although Blue Glow Agave occasionally produces pups, it is generally considered solitary and maintains a singular appearance. 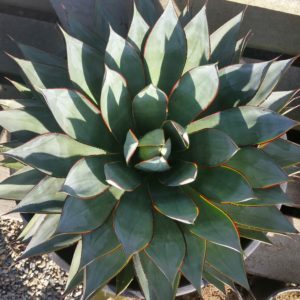 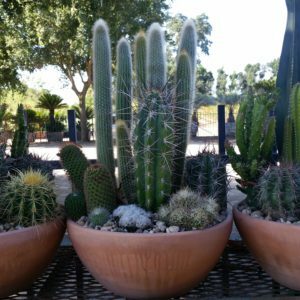 Categories: Agaves, Xeric Plants. 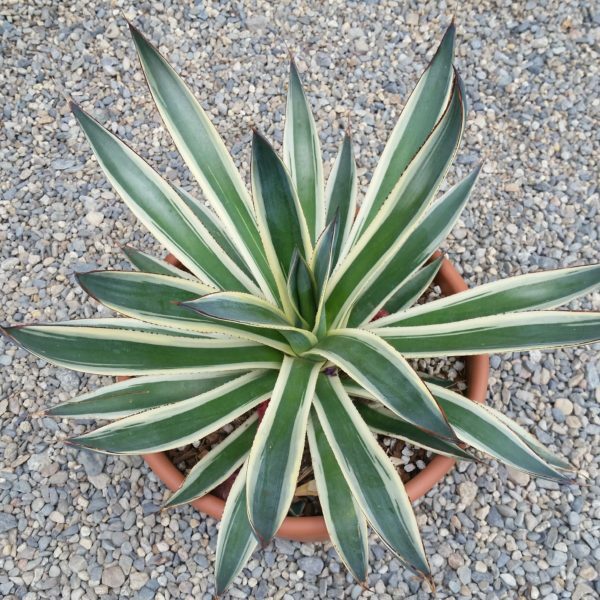 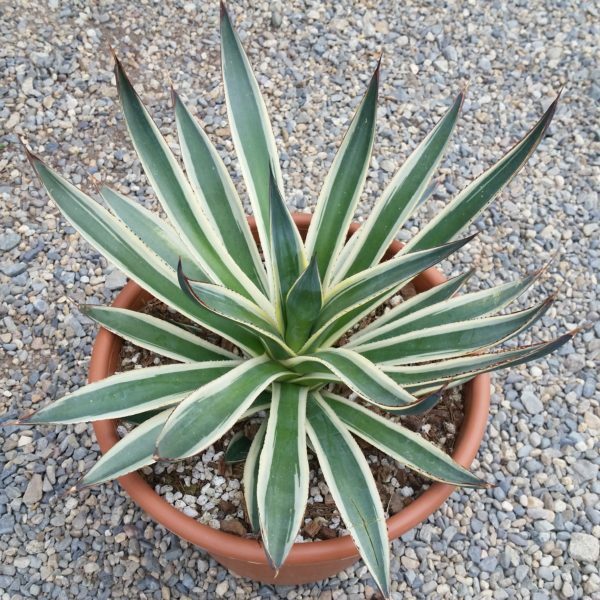 Tags: Agave Blue Glow, Blue Leaves, Century Plant, Coastal Garden, Contemporary Garden, Drought Tolerant, Maguey, Rock Garden, Succulent Garden, Variegated Blue Glow Agave, Variegated Leaves, Waterwise, Xeric Garden.